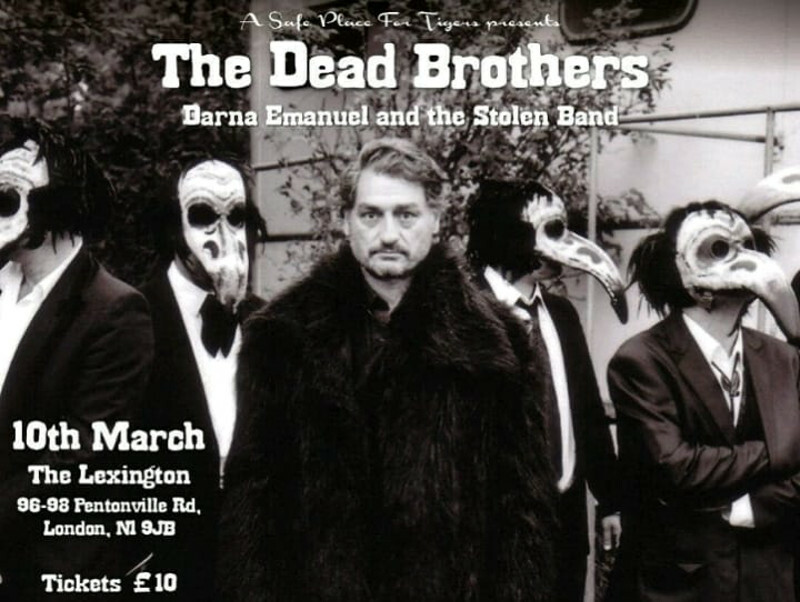 The Dead Brother's roots fetch far in musical history. They have been digging their grave for the past 20 years. Punk rock and country blues are part of their DNA. So are the stage antics of Cab Calloway, Kurt Weill's Three penny opera and the european folklore instrumental excellency. Some members have been renovating the swiss folkloric scene for ages (Landstrichmusig, Patent Ochsner, Echo, d'Giigemaa), others have a foot in theater, comedy, cinema and Vaudeville (Stadt Theater Hannover, les Trois Suisses, 9 Volt Nelly) some are orchestra directors and some italo crooners, before all that Dead Alain played 17 years with the punk'n'roll band Les Maniacs in Geneva: all find a home for their saudade in the Dead Brothers music. They opened this Pandora's box of melting pot blues, psycho swing and acous tic rage in 1998. Today, their sound is everywhere: inevery car ad and in every television serie. Nonetheless the Dead Brothers, and sisters, still believe in the lost world they are dreaming of. Dana Immanuel and the Stolen Band are a banjo-whacking, guitar;shredding, fiddle-sawing, foot-stomping, whiskey-soaked, all-female assault on the senses. Since 2014, this London-based ladyband have been delighting diverse crowds spanning the blues, rock, Americana, indie, folk and country scenes with their high-energy live show and utterly unique brand of musical badassery.